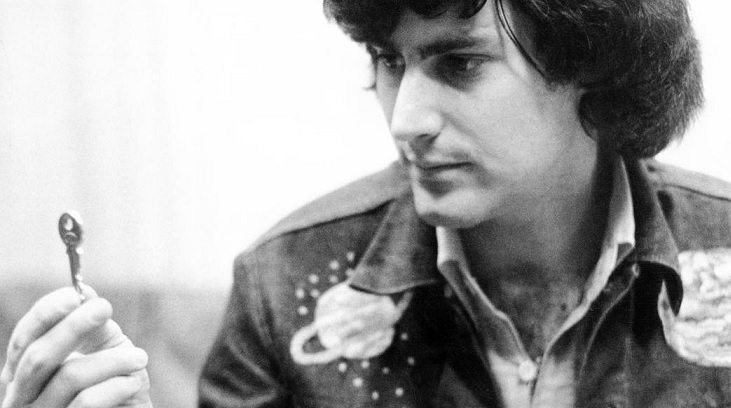 Uri Geller needs no introduction. A household name the world over, the indefatigable Israeli has been amazing audiences for the past five decades. Minds are read, metal mysteriously bends, watches and clocks which have not worked for many years suddenly spring to life and impossible predictions are made which will soon come to pass. These are the hallmarks of the mild-mannered entertainer’s sensational performances. However, recent revelations of Geller’s involvement with secret intelligence agencies, most notably the CIA, have further enhanced his legendary status. Oscar winning director Vikram Jayanti’s documentary The Secret Life of Uri Geller charts the charismatic mystery man’s meteoric rise from humble origins to worldwide super-stardom. From an early age Geller developed a heightened sense of perception and an awareness of his psychic capabilities. After serving in the Israeli army during the Six Day War in 1967, he was invited by Mossad (the Israeli secret service) to demonstrate his preternatural talents. Hardened military men were perplexed by Geller’s telepathic abilities and he would later be called upon to assist the state of Israel during times of emergency. Subsequent CIA interest in his inexplicable aptitudes followed, and Geller was promptly summoned to the USA to participate in a rigorous course of scientific experimentation. It was during this intense period of investigation at Stanford Research Institute in California during the early 1970s that Geller would develop his reputation as a man of extraordinary capabilities. Scientists were amazed by his propensity to read minds, find hidden objects and successfully conclude experiments in remote viewing (observing objects, places and people many miles away by using the power of his mind). The experts were unable to discern any logical explanation for these seemingly miraculous feats and conceded that Uri Geller must possess some sort of extra sensory perception (ESP). These findings would eventually culminate with Geller being invited to assist with covert intelligence operations throughout the world. Salvator Rosa’s famous painting of Saul’s visit to the Witch of Endor. Inevitably many will find such a disclosure difficult to digest. However, governments calling upon the aid of psychics and paranormal experts, particularly at times of crisis, is certainly not a novel concept. Since time immemorial, powerful leaders have sought to gain the upper hand against an adversary by invoking the mysterious forces of the unseen. Indeed, one of the earliest accounts of this practice is King Saul’s clandestine meeting with the Witch of Endor in the First Book of Samuel. The King sought divine inspiration prior to a major battle with the Philistines and was terrified by the witch’s ominous prediction. The next day the prophecy was fulfilled: the battle was lost and the King took his own life shortly afterwards. Dr John Dee. The original 007 and confidant of Queen Elizabeth I.
Thankfully not all interactions between great leaders and soothsayers have ended in disaster. The reign of Queen Elizabeth I is now celebrated as a golden age of British history, and perhaps this can be credited in no small part to the travails of the enigmatic Dr John Dee. Highly regarded throughout Europe as one of the most learned men of his age, it is believed that Dee provided Shakespeare with the inspiration for Prospero in his final play The Tempest. He was a trusted confidant of the Queen and used the number 007 (later to be adopted by Ian Fleming for his fictional character James Bond) when serving as a spy for the Crown. Dee possessed a deep knowledge of the occult arts and was said to have conversed with angelic beings from another dimension. He foresaw the coming of a great British Empire and provided Sir Francis Drake with tactical advice on how to defeat the mighty Spanish Armada in 1588. It is said that he may even have used his magical powers to summon the storm which assisted Her Majesty’s fleet. Aleister Crowley. Most people are still unaware of his work as a British spy. The English occultist and self styled ‘Great Beast 666’ Aleister Crowley gained notoriety during the early twentieth century and revelled in his sobriquet of the ‘Wickedest Man in the World’. But was Crowley really so wicked? In recent years academics have begun to appreciate that he may in fact have been a misunderstood genius. Crowley was also a secret agent who worked with British intelligence during both world wars. Whilst masquerading as a German sympathiser in New York during the early years of World War One, Crowley secretly lobbied to ensure that the USA came into the war on the side of the British Empire. Crowley’s close connections with occult groups in Germany during the 1930s naturally made him a person of interest for MI5. The Nazi’s obsession with the occult is well documented and Ian Fleming (the creator of James Bond who then worked with British Naval Intelligence) contacted Crowley in order to entice Rudolf Hess (deputy Fuhrer and a man with a deep interest in the occult) to come to the UK. Hess’s ill-fated clandestine flight to Scotland in 1941 soon followed and was said to have had a devastating impact upon Hitler when he learnt of this betrayal. It is widely believed that Crowley used his mysterious influence to draw him to the UK in order to discuss possible peace negotiations. The mysterious Wolf Messing who amazed Josef Stalin. The cessation of hostilities in 1945 would pave the way for a new world order and the dawning of the Cold War era. A tense stand-off between the two major Super Powers naturally intensified the covert activities of intelligence agencies across the globe. The campaign to identify and utilise people who exhibited extra sensory perception and psychic abilities would unearth some exceptional individuals. One such person was the Polish entertainer Wolf Messing who came into the orbit of the KGB (the Russian secret intelligence agency). Messing had been amazing audiences throughout Europe for many years before being forced to flee to the USSR during the Second World War. His ability to influence the thoughts of others, read minds and cast accurate predictions became legendary in Soviet Russia. Josef Stalin was said to have been mesmerised by his incredible talents and it is widely believed that Messing assisted the KGB during the post-war years. In the early 1970s Uri Geller was invited to a meeting with Wolf Messing in Berlin. The Polish master was clearly amazed by the young Israeli’s amazing talents as well as the fact that Geller is a distant relative of Sigmund Freud (who Messing had mesmerised alongside Albert Einstein many years before). The exchange shared between the two men will perhaps forever remain classified, but it is a great testimony to the respect Messing had for Geller that he chose to divulge the secret techniques he used to perform some of his incredible feats. As the world enters an era of political uncertainty, Uri looks certain to remain very busy. Thus, it could readily be argued that governments and leaders who do not take the powers of the unseen seriously do so at their peril. Indeed, with Brexit negotiations looming and some challenging times ahead, perhaps Uri Geller can expect a phone call from Prime Minister Theresa May very soon? *Special thanks to Uri for his kind assistance with this article. This entry was posted in Aleister Crowley, British Intelligence, David Fox Magic, MI5, Occult, Uncategorized, Uri Geller, Wolf Messing and tagged Aleister Crowley, CIA, Dr John Dee, Ian Fleming, James Bond, MI5, Mossad, Occult, Paranormal, Uri Geller, Wolf Messing. Bookmark the permalink. Wolf Messing: The Man Who Mesmerised Stalin. Clairvoyant or Conjurer?